Construction giant Multiplex has been awarded the massive Queen’s Wharf construction contract, estimated to be worth up to $1.5 billion. The competition for the “city shaping” Queen’s Wharf contract, had come down to two contractors: Multiplex and Hutchinson Builders. Multiplex will comence construction by mid-year. The lump sum contract is for the development of the integrated resort component of Queen’s Wharf, which includes five levels of basement car park, the tower structures, the sky deck and the façade of the main integrated resort. At least 60 per cent of the project cost will be executed under the construction contract. In its half yearly results, Star Entertainment Group said it was targeting a total $2.4 billion project cost. “It’s a massive contract that, in total, will include approximately 370,000sq m of floor area and 105,000sq m of energy efficient glazed façade,” Destination Brisbane Consortium project director Simon Crooks said. Multiplex will deliver the shell and core works covering the basement, base services, tower structures and the facade of the main integrated resort.Cottee Parker Architects. The project is being developed by the Destination Brisbane Consortium, a joint venture led by casino giant Star Entertainment Group, with Far East Consortium and Chow Tai Fook Enterprises. Star holds a 50 per cent equity share in the project, while its Hong Kong-based partners each hold a 25 per cent interest. When complete, Queen’s Wharf Brisbane will deliver four new hotels, more than 50 bars and restaurants, 2,000 residential apartments and the equivalent of 12 football fields of public space. It will cover a massive 27.3 hectares — about 20 per cent — of Brisbane’s CBD. Multiplex, which halted work on the $1.2 billion Collins Arch project earlier this month, delivered Queen’s Wharf neighbour Cbus Property’s “tower of power” at 1 William Street and the $1 billion Brisbane Quarter. Major Queensland projects under construction for the building giant include the residential component of Brisbane Quarter and Yuhu Group’s triple-tower Jewel development on the Gold Coast. The first stage of the Cottee Parker-designed integrated resort development is exected to have a late-2022 completion. Crooks said that the contract remained subject to board approval and state government endorsement. Construction works are expected to reach George Street level by late-2020. Brisbane commercial real estate continues to be popular. Brisbane has welcomed a new addition to the busy hotel market in the city. The newest hotel, the $100 million Art Series-branded the Fantauzzo, at the riverfront Howard Smith Wharves precinct is now open. The Fantauzzo is the latest addition to a market that was, until recently, known for its lack of high-end hotels — new additions include Fortitude Valley’s the Calile and the $200 million Westin Brisbane in the CBD. Some commercial real estate agents in Brisbane suggest the new Brisbane airport runway set to be operational by 2020 and the $160 million cruise ship terminal will be drivers of demand. 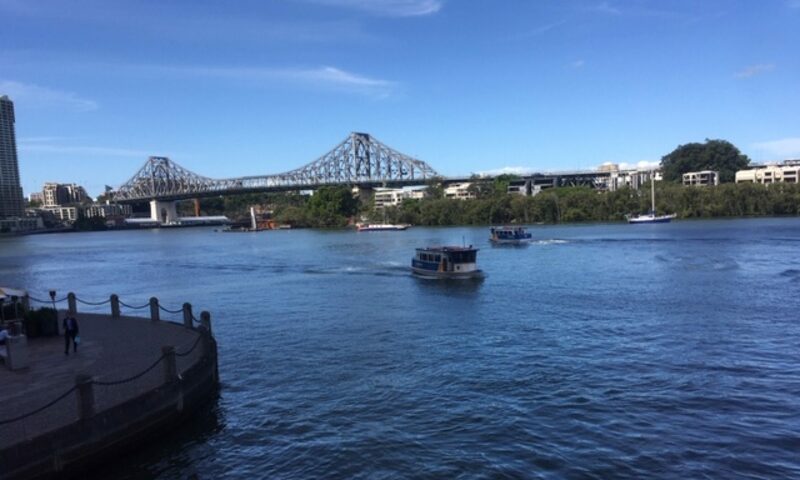 Brisbane is expected to benefit over the longer term from new development and the extensive range of investment projects and initiatives currently under way and planned. Market room rates are expected to stabilise over the short term, followed by growth as a result of the quality of new product and increased demand from 2020. Accor owns the Art Series brand, after acquiring the Mantra Group in a $1.2 billion deal in June 2018. Mantra had purchased the Australian-owned Art Series brand in 2017 for $52.5 million. It’s the first Art Series hotel to open under our management, with guests visiting Brisbane from other parts of Queensland, interstate and overseas,” Accor Pacific chief operating officer Simon McGrath said. Brisbane CBD real estate is seeing moves from some of the larger players. Mining giant Rio Tinto will leave its current Brisbane headquarters at the end of its current lease term, moving 1,000 of its employees across the city to the new $500 million Midtown Centre. The developers purchased the cross-block property in late 2017 for $66 million. It is reported that Rio had been on the lookout for new digs since late last year. Rio Tinto moved into its purpose-built 123 Albert Street offices in 2009. It is expected that Rio Tinto will commence the lease in August 2021. Canadian investor Oxford Properties has moved to divest $1.5 billion worth of ­office towers around Australia in a bid to fund capital reinvestment. Oxford, the real estate arm of Canadian pension fund giant OMERS, is moving quickly to offload the assets in order to focus on acquiring and managing premier properties and development schemes in Sydney and Melbourne. The assets for sale are part of Investa Office Fund’s $4.4 billion 19-asset portfolio which Oxford acquired late last year. The collection includes five buildings in Brisbane, two in north Sydney, one in central Sydney and one building in Canberra. The Brisbane listings, comprising of two groups of contiguous assets, include 239 George Street and 15 Adelaide Street; and at 295 Ann Street, 140 Creek Street and 232 Adelaide Street. All of the listed assets are located in established commercial markets, strategically situated and secured by strong tenant covenants across diversified industries. The disposition will enable Oxford to gather enough capital as an investor in other to forge new opportunities emerging in the local market. Oxford, which has a record of sounding out major commercial towers acquisitions in gateway cities, will look to recycle the proceeds to finance the growth of its existing portfolio as well as future acquisitions. “We have carefully identified a collection of high quality, well-located properties for sale that we believe will be very attractive to the market,” Oxford Properties Group director Alec Harper said. The scale of the sell-down is significant because it indicates Oxford could realise enough capital from the process to enter the fray again as an investor in other opportunities emerging in the local market. “This will enable our team to focus on the assets that most closely align with Oxford’s overall global investment strategy,” Harper said. It is expected that the listed properties will be sold individually or in small groups, rather than as a single portfolio, as Oxford looks to maximise its return from the 10-asset collection. Oxford’s parent company OMERS first arrived in Australia three years ago as part of a consortium with the Future Fund, QIC and Global Infrastructure Partners which bought out the Port of Melbourne on a 50-year lease. 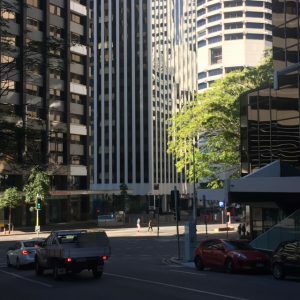 In latest news of Brisbane commercial real estate for sale, agents report Heitman, Marquette have purchased a Brisbane Office Tower. 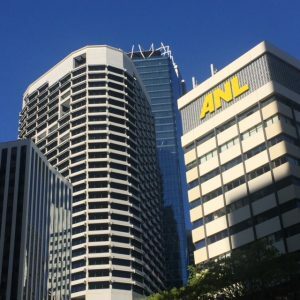 A 28-storey Brisbane office tower has sold for $113.6 million, marking the first time in 25 years the 288 Edward Street asset has changed hands. Heitman snapped up the tower in partnership with local fund manager Marquette Properties on an 8 per cent yield. Industry sources indicate that Marquette secured a 9,000sq m lease during due diligence with US firm Concentrix, lifting the occupancy of the property to about 90 per cent. The site was only 59 per cent occupied when marketing commenced in mid-2018. Canadian property group Quadra Pacific withdrew from Brisbane’s office market last year, listing the older Edward Street asset along with a 16-storey Mary Street tower for sale. Marquette managing director Toby Lewis said the asset presented a good value-add opportunity in Brisbane’s CBD. “We have exciting plans to transform the asset,” Lewis said. Heitman was joined by four offshore investors on the deal. 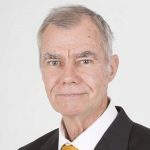 “They all believe in the Queensland economy’s direction, the growth of Brisbane and its continued improvement in the standings of Asia-Pacific cities to invest,” Lewis said. Marquette manages $300 million of commercial and retail assets across South East Queensland. Heitman recently picked up the Brisbane Barracks with Fortius Funds Management and the K1 office tower in Brisbane’s Fortitude Valley from Melbourne syndicator Impact Investment Group. Quadra acquired 288 Edward Street for $27 million in the early ’90s. The 133 Mary Street asset will settle in coming weeks. A recently refurbished commercial office tower located in Brisbane’s golden triangle will become available for sale this month. Owners Fortius Funds Management and two BlackRock-managed private funds will test buyer demand for the 16-storey CBD tower, tipped to attract local and offshore interest. The building, located at 201 Charlotte Street, was purchased for $81.5 million in 2015. The A-grade office tower sits on a 1,839sq m site, providing 13,291sq m of net lettable area, and could attract interest for more than $130 million. Anchor tenant Anglo American have recommitted to the building until 2028. One of the attractions of 201 Charlotte Street is its anchor tenant, Anglo American, which is the third largest metallurgical coal mining company in the world, with a market capitalisation in excess of $40 billion. The property sits close to all major CBD infrastructure projects in Brisbane, with $12.8 billion in developments located within a one-kilometre radius. “This includes the Cross River Rail, which is 300 metres away, Queen’s Wharf, which is 500 metres away and Dexus’ Eagle Street Pier redevelopment, which is just 60 metres away. Also located within Brisbane’s ‘golden triangle’, the 10-storey Edison Exchange building, owned and home to Telstra, was also marketed last month. Other recent Brisbane CBD transactions include the $52.25 million sale of 293 Queen Street to US property giant LaSalle in December. Rockworth Capital Partners purchased a 17- storey office tower at 100 Edward Street, within the golden triangle, for $60 millionin an off-market deal last August. More activity in the Brisbane CBD with the announcement that the 10-storey Edison Exchange building in the heart of Brisbane’s “golden triangle” precinct will be for sale for the first time. Telstra developed the 10-storey commercial building in 1963, and currently owns the property. The building comprises 12,200sq m of gross floor area on the 1,675sq m site, and due to local planning is said to offer plenty of development potential. With three-street frontages, the development potential of the site is significant. The city centre zoning allows for no maximum building height and offers a multitude of development potential including office, hotel, retail and residential. Reports estimate the building could be expected to sell for a price exceeding $75 – $80 million. Rockworth Capital Partners acquired the 17- storey office tower at 100 Edward Street for $60 million in August in an off-market deal. It is expected the 280 Elizabeth Street property to attract interest from both domestic and overseas buyers. Commercial real estate agents in Brisbane are expected to be very active in 2019. Development hasn’t abated and the cranes on the skyline indicate plenty of offices coming on stream. The Queensland government has declared a Cross River Rail Priority Development Area as it prepares to build a new underground station in Brisbane. Treasurer Jackie Trad has announced the Cross River Rail Priority Development Area will support the delivery of the new underground Albert Street station. The station will provide rail services to the southern end of the CBD for the first time, with expectations around 67,000 people using the transport connection each week day by 2036. Brisbane City Council’s Albert Street Vision incorporates a ‘green spine’ that would run from Roma Street Parklands to the City Botanic Gardens to support the increase in pedestrian activity within the Albert Street vicinity. When complete, it’s anticipated a trip from Albert Street to Woolloongabba would take around three minutes. Cross River Rail includes five new high-capacity stations at Boggo Road, Woolloongabba, Albert Street, Roma Street and The Exhibition, and is expected to be used by 164,000 daily passengers. In other recent news, US property giant LaSalle Investment Management has purchased a Brisbane office building for $52.25 million. The real estate investment management firm bought the seven-story building at 293 Queen Street, in Brisbane’s Golden Triangle, on a passing yield of 4.04 per cent and with a potential fully leased market return of 6.7 per cent. Bloomberg Incorporation Limited owned the 5257sq m building, which is anchored by the University of Queensland, for almost 25 years. The asset, constructed in 1928, is next door to the 26-story tower that LaSalle purchased separately last year for $153 million at 307 Queen Street, greatly expanding its Brisbane CBD land holdings. Brisbane Office Tower Purchased by Charter Hall for $275 Million. ASX-listed Charter Hall has re-entered the Brisbane’s office market with the purchase of 61 Mary Street in the CBD for $275 million. The 17-level office tower was sold by QIC Global Real Estate and will now become part of Charter Hall’s unlisted District Office Fund (DOF) adding to a $1.7 billion real estate portfolio in assets under management on behalf of its high net worth and SMSF investors. The property, which completed a $38 million refurbishment works program in 2018, is in the heart Brisbane’s government precinct and is fully leased to the Queensland Department of Transport and Main Roads for a further 10 years. The property acquisition is in line with Charter Hall’s long-standing focus on assets with long-leased government and high credit rated tenants. The Mary Street building also encompases some of the largest floor plates available in the CBD, between 1,525 and 2,030 square metres and sits on a rarely obtainable 3,646 m2 site while also holding a 5 Star NABERS energy rating. “The office market is extremely strong for high quality long WALE investment assets, particularly leased to government and credit rated tenants,” Charter Hall Office chief executive Adrian Taylor said. This is a sure sign that Brisbane’s commercial real estate market and complements Charter Hall’s recent $93 million acquisition of 40 Tank Street, a half share in B-grade office building Capital Hill at 85 George Street for $60 million as well as the acquisition of a property on Turbot Street on behalf of Singapore’s GIC in May for $108 million. The rate of development is also rapidly increasing, with Mirvac’s $836 million development at 80 Ann Street and a $650 million office building on Queen Street a joint venture between Charter Hall and Investa gaining approval. Charter Hall also purchased a high-profile development site for No. 1 Brisbane, a proposed 81-storey tower on Brisbane’s Queen Street Mall which was granted approval in 2017.